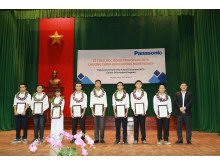 Panasonic grants eight full tuition undergraduate scholarships of 30 million VND per school year for disadvantaged and outstanding students from 7 universities in Vietnam. Hanoi, 30 October 2015 – At Hanoi University of Science and Technology, Panasonic Vietnam held the Panasonic Scholarship 2015 Award Ceremony to honor eight students who prove their efforts to overcome difficulties, attain outstanding academic achievements and have the potential to contribute to society development after graduation. Attending the ceremony was representatives from Ministry of Education and Training, Universities in Hanoi, Panasonic Vietnam and 300 university students. “In Vietnam, our challenge is developing Vietnamese talents to help support new solutions and products to match with the need and requirement of Vietnamese people. This is the reason why we award scholarship to students and cooperate with universities for education and training program. 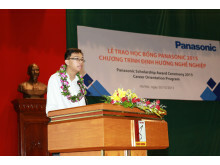 I hope all young and talented students in Vietnam will keep on 'Challenge and Change' to achieve bigger success in the future,” Mr. Eiji Fukumori, Panasonic Vietnam General Director shares with students in his talk. Also in the Award Ceremony, the Career Orientation Program was organized to provide knowledge and experiences for university students to prepare for their future career opportunities. 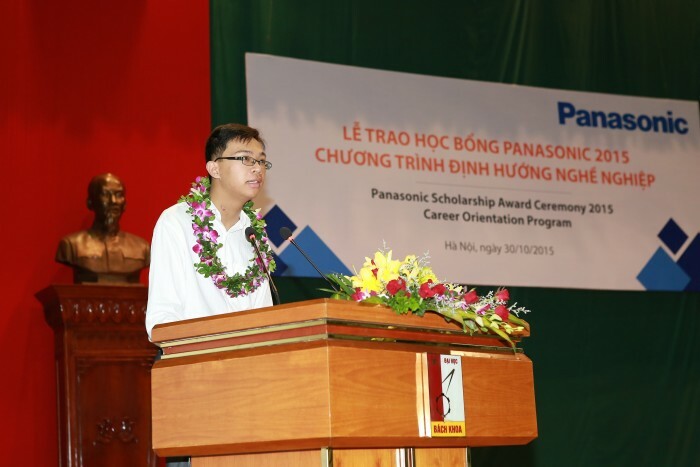 “Panasonic Scholarship is not only a financial support but also a motivation and encouragement for me to overcome all the present difficulties in lives, pressure of medical treatment to continue my study and realize my dreams. 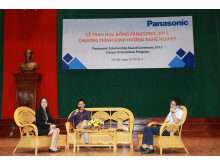 I believe with Panasonic Scholarship, I could focus on my study and achieve further success in my study and research plan,” Tran Khanh Hiep, Department of Computer Science, FPT University, one of the scholars receiving scholarship 2015 shares in his speech. 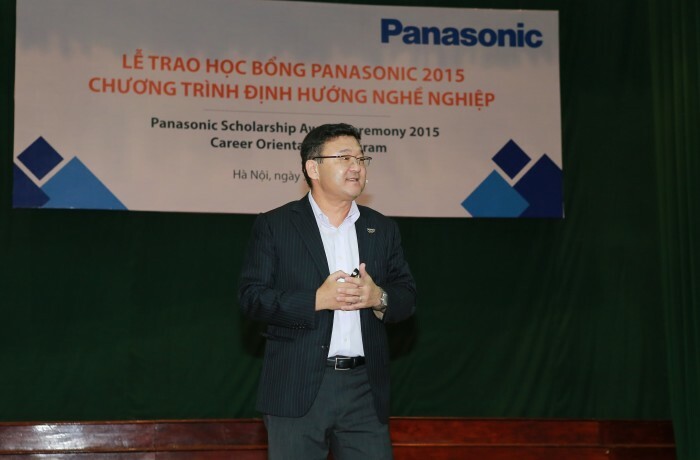 Panasonic Scholarship Program has been implemented in Vietnam since 2004 with 24 scholars receiving Postgraduate scholarship to study in Japan. 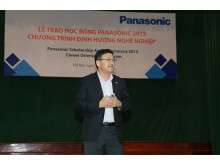 From 2014, Panasonic Vietnam redirected the program to grant full tuition undergraduate scholarship with the aim to accompany Vietnamese students in their dream and aspiration to study.